Top Car Leasing Specials in NYC | Choose Us and Save! If you lease from some other company, you’d be lucky to have more than just a few types of vehicles to choose from, and those will likely be made by a few manufacturers. 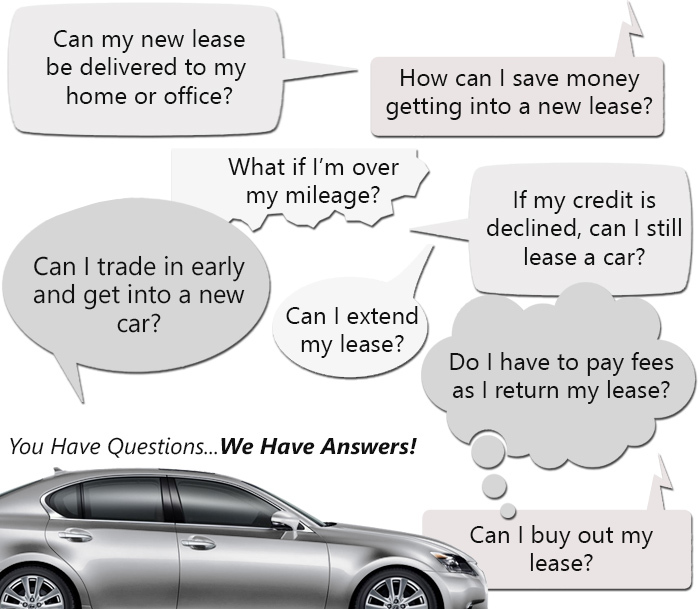 With us, though, you can lease any new model vehicle made by Acura, Audi, BMW, Buick, Cadillac, Chevrolet, Chrysler, Dodge, Ford, Honda, Hyundai, Infiniti, Jaguar, Jeep, Kia, Land Rover, Lexus, Maserati, Mazda, Mercedes-Benz, MINI, Mitsubishi, Nissan, Porsche, Ram, Subaru, Smart, Toyota, Volkswagen, and Volvo. And by “new model,” we’re not just talking about cars, including coupes, convertibles, and sedans; we’re talking about any type of vehicle, with trucks, vans, minivans, SUVs, and other off-road vehicles among them. We’re able to have such a wide spectrum of vehicles to offer you because we’re not limited by the size of some car lot; we don’t have one, you see. Well, to be precise, we don’t have a physical car lot. We do, though, have a virtual one, a lot filled with beautiful vehicles of all types, on the internet and ready for you to access any time you want. Those old fashioned physical car lots aren’t only just limiting in terms of what an auto leasing agency can offer inventory-wise (a physical lot can only park so many cars! ), but they’re expensive as well. Property costs, property taxes, utilities, insurance, payroll for the people who staff the place – all of those sorts of physical lot-related costs are costs we just don’t have. In other words, our inventory is a lot lower than that of our competitors, so we can charge you a lot less than our competitors would. Something else we’re able to give you due to our having a virtual lot is the most incredibly laid-back, chillaxed car leasing experience possible. There’ll be no trying to find a ride to get to some car lot somewhere. No being followed around a car lot by some worn-out salesman who ranks your needs and desires somewhere after his commission and lunch break. No one will pressure you. No one will rush you. It’s just you, at home, snacks and tasty beverage at hand, checking out our inventory on your computer. Want to bring family and friends along to go car shopping with you, virtually speaking? Just email to them the cars that interest you to get their take on what car would be the right one for you. Bookmark cars that strike your eye as you go along so you can come back later for a better look and to compare them with your other bookmarked cars more closely. Do your car shopping any time of the day or night, any day of the week, all at your own pace. You – not some salesman, not some manager – control the car leasing experience. If you have any questions as you’re checking out all our cars, all you have to do is give us a call and we’ll be ready with the answers and any other help you need. We’ll also help you when it comes time to think about financing. We’ll work hard to make sure you get a really good deal with great terms. Our goal is for our customers to have low interest rates and low monthly payments, and we work directly with banks and other lenders to make that happen. We’ll even handle most of the paperwork ourselves so you won’t have to worry about it. Something else you won’t have to worry about is arranging to go pick up your car when the day comes for you to drive it. We’ll bring it right to you, instead, delivering it to your home, office, or pretty much anyplace else that’s convenient for you that day. We really do try to make things as easy and as convenient for our customers as possible. If you have any questions, just give us a call. You can reach us at 347-897-5225. We’d be glad to meet and talk with you, and to have the chance to show you how we can save you lots and lots of money while giving you a huge, comprehensive inventory of vehicles to select from, the most convenient leasing experience possible, and great customer service!